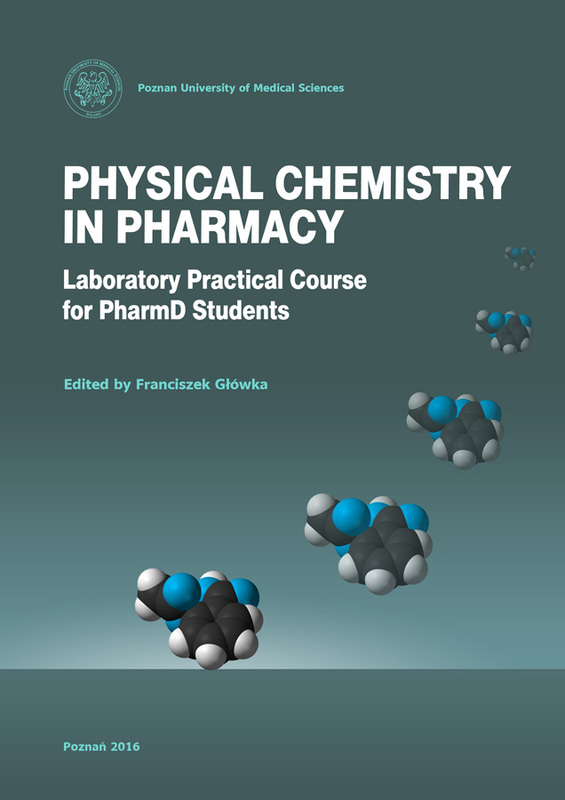 The first edition of Physical Chemistry in Pharmacy; Laboratory Practical Course is designed for students of second year of Doctor of Pharmacy Program (Pharm.D.). Physical Chemistry for Pharmacists, widely known as a Physical Pharmacy, concerns with the use of physical and chemical principles to many disciplines of pharmacy. Laboratory course for Physical Pharmacy is integral part curriculum of Pharm.D. Program including also lectures and seminars. The schedule of the laboratory course is prepared to give the opportunity to students to better understand not always easy material of Physical Pharmacy. The laboratory course includes the following issues: properties of colloids, thermodynamics, electrochemistry, kinetics, pharmacokinetics, phase equilibria, surface phenomena and quantum mechanics. Each experimental part was preceded by theory. More details readers will find in the chapter Experiments. The labs were designed for manual as well as computer performance. The English edition was partially based on the Polish guide “Ćwiczenia laboratoryjne z chemii fizycznej dla studentów farmacji i analityki medycznej” by G. Uchman and T Hermann. In meantime most laboratories have been greatly improved as well as new were introduced. The modern tensiometer was applied for performance of the experiment Critical micelle concentration prediction for Tween 20. To strengthen the pharmaceutical aspects of the laboratory course in some of the experiments: electrochemistry, kinetics, surface phenomena were introduced medicinal substances. Authors believe that the course of Physical Pharmacy will be helpful in understanding subjects such as pharmaceutical technology, pharmacology, pharmacokinetics, pharmaceutical chemistry, biopharmacy, tightly connected with pharmacist profession. Authors expect also some remarks from teachers and students, who will perform the ex-periments, to improve next editions of the guide.